Transparency: Bills need to separate out actual utility products from the costs to meet state-mandated policy programs, so customers understand what they are paying for. Equity: Rates must be fair and minimize costs caused by one customer group from being shifted to other groups, while recognizing that customers use the grid, consume products and pay their bills in different ways. Sustainability: The new framework should be forward-looking and malleable so that it can accommodate new products, services, and business models and help California achieve its goals at a reasonable cost. Access: Customers should have equal access to the many options to manage their energy services. Modern Rate Architecture enables California’s three investorowned utilities to be effective change agents and stewards for the state’s ambitious climate and environmental goals, which Californians support. It is a framework that enables flexibility for retail rate structures and allows IOU customers to understand that their electricity choices can make a difference to California’s success. The authors, and the IOUs we represent, offer Modern Rate Architecture as a starting point for discussions on how to best provide a robust pricing paradigm for the twenty-first century. The energy industry in California is in a period of transformation as government policies, customer interest and technology innovation are transforming it to support a more environmentally sustainable future. There are more options for electricity customers, who have both increased access to advanced technologies, such as rooftop solar, energy storage and electric vehicles, and increased flexibility to choose their providers. Today though, because of an outdated rate structure, some customers have access to the choices and subsidies provided by these changes, while other customers are paying their subsidies – shifting costs from one group to another. This rate structure threatens California’s ability to meet its clean energy goals by creating inefficient markets and inaccurate incentives for customers. California’s IOUs need to be able to set rates to meet state policy objectives, including new contracts for renewable energy supply, cost-effective energy storage paired with renewables, and updated infrastructure for grid automation and millions of EVs. 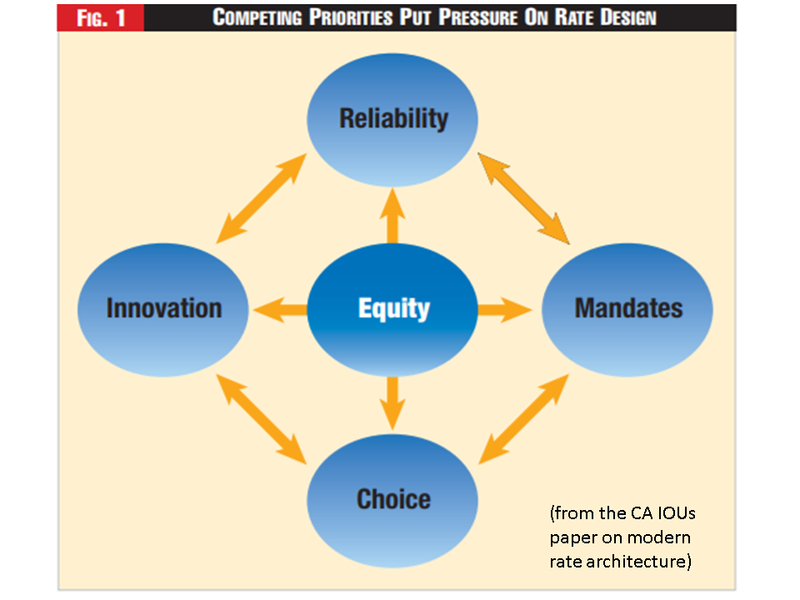 For more than a decade, the California Public Utilities Commission, the state legislature and the IOUs have been trying to address rate design in the context of the changing grid. However, these efforts have yielded less than optimal results or have not been integrated with an overarching strategic vision. 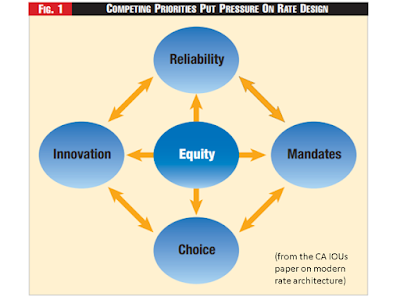 The CPUC’s recent report, “California Customer Choice: An Evaluation of the Regulatory Framework Options for an Evolving Electricity Market,” issued in August 2018, states, “California needs a clear long-term vision for its regulatory framework to address the state’s system requirements and policy goals beyond short-term fixes to stabilize immediate issues.” The IOUs believe this need for a clear vision extends to pricing. 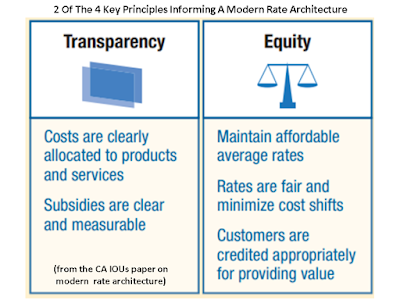 Architecture Modern Rate Architecture clarifies how costs are allocated and paid for. With this clarity, customers will be able to understand which costs are rising and what is being achieved in return, enabling transparent discussions about value and priorities. Customers who get credits for helping to lower carbon emissions, increasing energy efficiency, or driving EVs should understand the relationship between their actions and their rewards, helping encourage behavior that supports California goals. 4. Creates transparent credits to compensate customers for benefits they provide to others or the overall energy system. The existing rate structure was developed for the vertically integrated electricity model that served us for most of the history of electric utilities, and it has been altered iteratively and reactively to meet new challenges. Twenty-first century customers, who are being offered new technologies, new business models, and state policies meant to drive greenhouse gas reductions would be better served with a newly conceived rate architecture that addresses their realities. Policy goals, customer engagement, and technology trends have encouraged the emergence of an increasingly decentralized landscape of consumers, retailers, and suppliers who engage with the electricity system in divergent ways, expect different levels of service and find value in distinct products and services. By 2018, more than three-quarters of a million rooftop solar customers in California IOU territories displace much of their energy usage and do not pay their full share for grid services. In the burgeoning Community Choice Aggregation (CCA) movement, new providers procure power for a growing number of customers but leave behind some of the costs for power previously contracted on their behalf. The savings from these programs motivate more customers to join in. Under the current rate structure, these customers can also avoid paying some or all of the societal and policy-related costs that are mandated to be recovered in a utility’s rate. Ultimately, this cycle will impact affordability for all remaining customers – many of whom lack access to CCAs or rooftop solar. Being fair to each of these customers, while not shifting costs between them requires a new approach. An October 11, 2018 decision from the CPUC to revise the departing load charge for CCA customers is a positive one-off decision that begins to address cost shifts. However, a holistic approach to rate architecture is still needed. Under the current rate structure utilities calculate their revenue requirement by tracking the costs of all products and services, including a return on investments.3 This revenue requirement is then allocated to customer classes, as determined by customer type, usage, demand and voltage levels.4 In the Residential class, customer service and grid service-related costs are generally recovered through volumetric rates (rates charged on a cent per kilowatt hour basis). This reliance on recovering all costs through volumetric rates fails to recover appropriate costs from each customer: lower-usage customers may pay less and higher-usage customers may pay more than the cost to serve them. This issue is specific to the California IOUs’ residential customers, as rates for other California customer classes are a mix of fixed and volumetric rates. 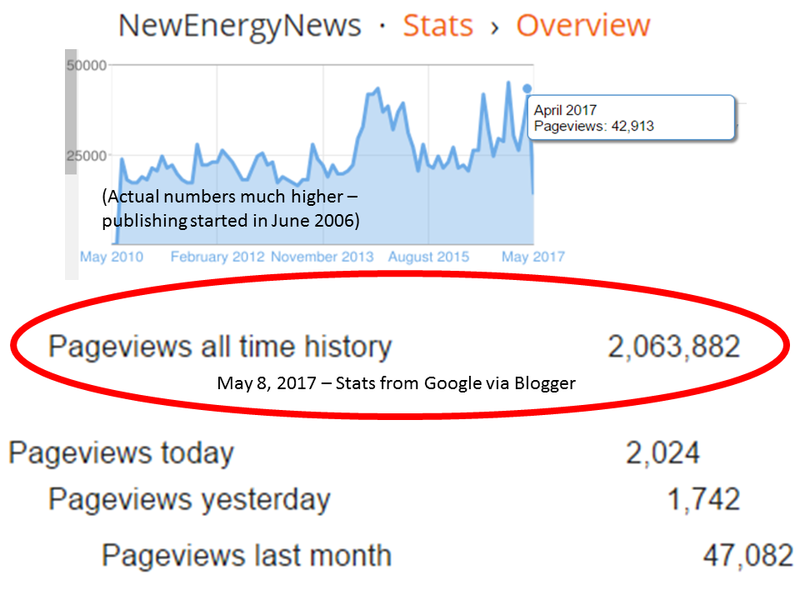 Volumetric energy rates are not the sole basis for residential rate design outside of California. 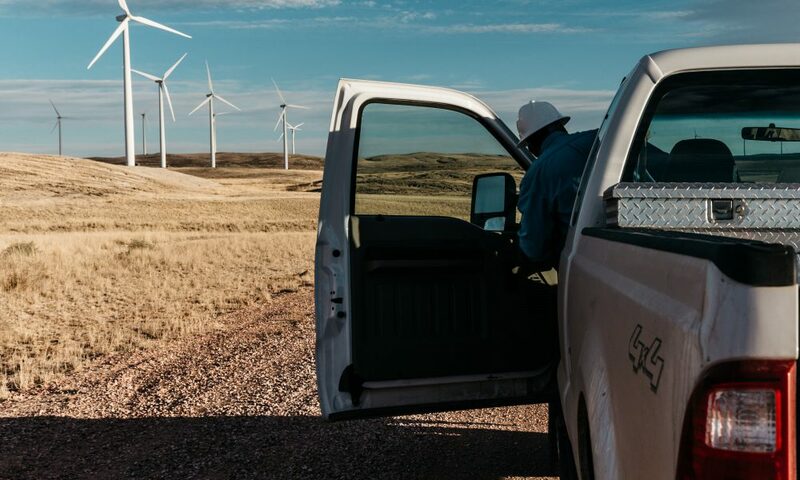 Safe and Reliable Service: Delivering safe and reliable electric service (including both power resources and grid capacity) to all customers in the service territory regardless of their current service provider or changing grid needs. 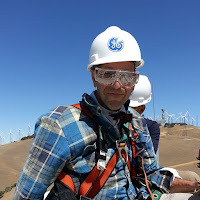 Policy Mandates: Legislative and regulatory mandates including the Renewables Portfolio Standard, low-income and disadvantaged community programs and energy-efficiency initiatives. Technology Innovation: Encouraging or subsidizing clean technologies to advance a cleaner, carbon-free California. Technology innovation increases opportunities to reduce greenhouse gas emissions through more sustainable energy production and consumption. 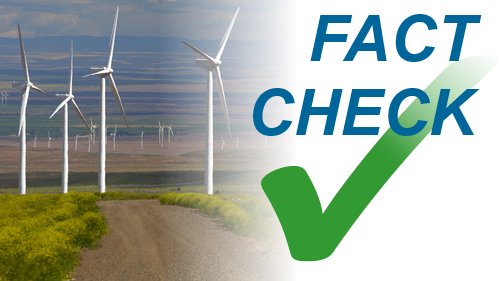 Customer Choice: Off ering customers more control over their energy decisions. The current rate structure was not designed to balance these competing priorities. Cost pressures could force regulators and stakeholders to choose which priority to favor, creating inequities. Th is undermines the IOUs’ obligation to provide services to all customers at an aff ordable and equitable cost. For example, a residential customer may choose to charge her new EV during off -peak times, increasing her home usage above average. Th rough the rates paid for home usage, this customer may already be paying her fair share of societal program and grid costs. But, by also adding these costs to her EV charging bill she is, in a sense, double paying – and these costs reduce the competitiveness of electricity versus gasoline. Meanwhile, her neighbor who has a rooftop solar system but no EV pays no costs for societal programs, thus increasing the burden to pay on the EV-owning neighbor with no solar panels. 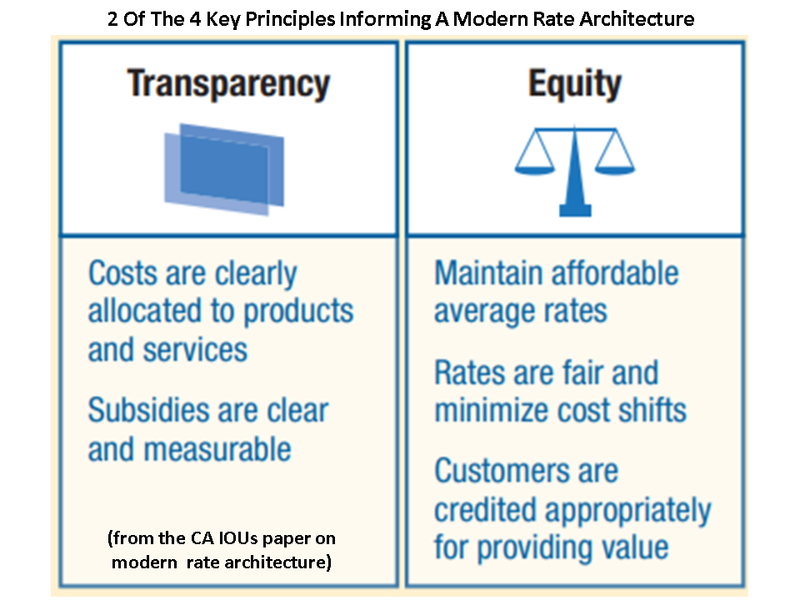 Modern Rate Architecture is based on four key principles that are consistent with the goals of current rate policies (Figure 2). Transparency is providing clearly defi ned and trackable costs, benefi ts, credits, subsidies and charges. 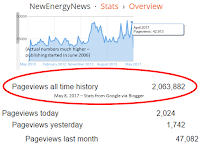 Transparency allows customers to see the costs of programs and initiatives they are supporting and to make better-informed choices about the direct costs and benefi ts of technology, electricity consumption, and energy sources. Increasing transparency provides a clear, sustainable path to assess fairness. Transparent rates will aid policymakers in assessing the eff ectiveness of programs and facilitate future decision-making. Transparent subsidies will also make it easier for the marketplace to determine the costs and benefi ts of taking some action or adopting a technology. Equity is ensuring all customers pay for the cost of the utility services they receive and that all customers have equal incentives to change behavior or invest in technology. Where policy mandates provide subsidies that eff ect equity, such as those to improve aff ordability for low-income customers and customers in disadvantaged communities, or for the advancement of clean energy policy, these should be transparent. Sustainability is establishing a framework that is forwardlooking and malleable. It provides clear and accurate price signals that can accommodate new products, services and business models and will help California achieve its goals at a reasonable cost. 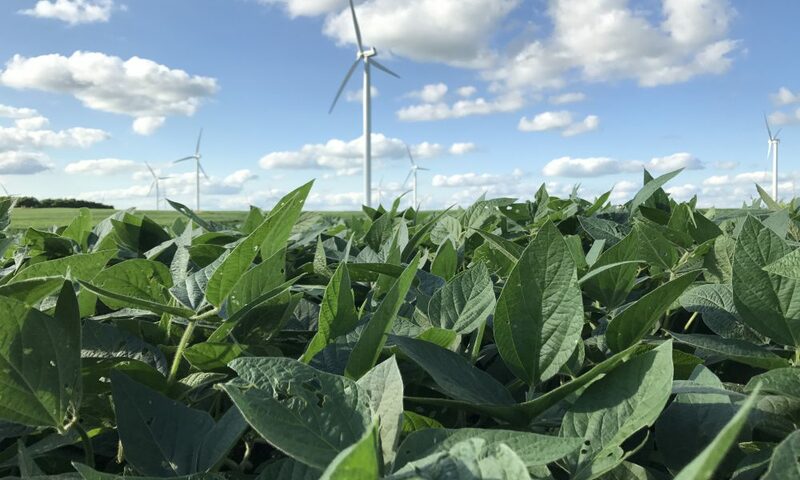 Sustainability looks at policy mandates that require investments to be collected over decades and ensures that all customers who benefit from these programs are paying for them. This means no customers pass costs that were incurred on their behalf to other customers (with an exception for the low-income and disadvantaged community subsidies discussed above, which are the result of an explicit societal commitment). It also will be a tool for California to directly implement, moderate and eventually eliminate programs and subsidies that have fulfilled their goals. 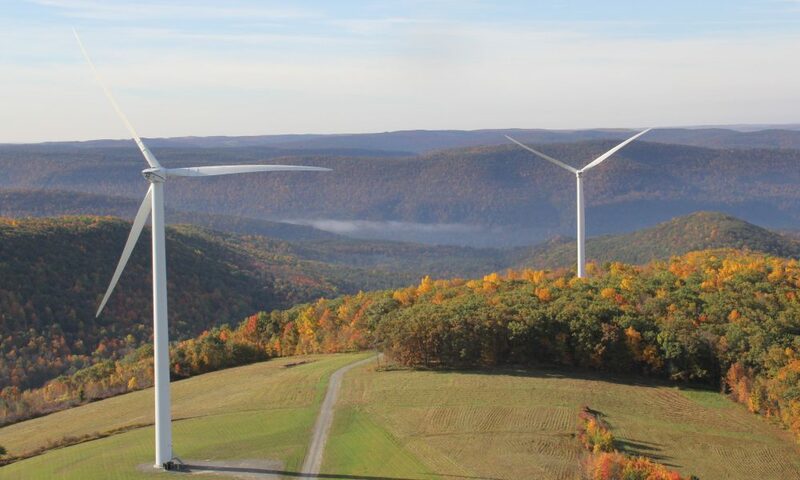 Access is ensuring all customers can take advantage of the opportunities that are part of the state’s clean energy future, including access to solar and storage technologies and to a competitive marketplace that customers or their providers can enter and exit. Modern Rate Architecture based on these four principles will allow for the holistic creation of a rate structure that can not only respond to today’s markets but is also flexible enough to be adjusted in the future as technology evolves so that customers can benefit from even more choices. Applying these principles can enable ongoing appraisals of affordability in the context of the cost and benefits of various policies. Product Differentiation and Unbundling – Modern Rate Architecture clearly identifies products and services and their costs. California IOUs currently provide products such as electricity generation and delivery, traditional customer services, and implementation of public policy mandates. These should be broken out individually or in groups as rate and billing components so that customers understand what they are being charged for. Some components, such as energy, might be offered by third parties and not by the regulated utility. In those cases, Modern Rate Architecture allows for a direct price comparison between third-party and IOU rates, so customers and the marketplace can make informed choices. Once products, services, and mandates are separated, each customer will better be able to understand how their specific costs and credits are bundled into their total bill. 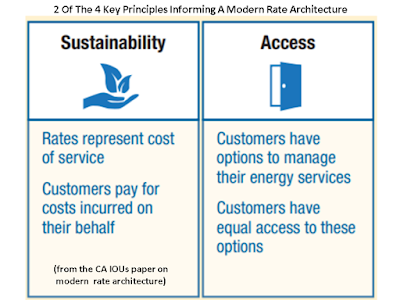 Meeting Needs of Different Customer Types – Modern Rate Architecture recognizes the significant differences in customers’ energy needs, and in how costs and benefits of policy mandates are allocated. In today’s rate structure, customers are segmented based on what type of customer they are (residential, agricultural, commercial, etc. ), and then, in some cases, by how much electricity they use (small, medium and large commercial and industrial). This segmentation worked when nearly all services were provided by vertically-integrated utilities and the primary focus of ratemaking was to charge customers within each class the average cost of service for that class. Residential customers now have choices, but the volumetric rate structure fails to reflect this. With Modern Rate Architecture, customers can be segmented by how they use electric services and, potentially, how they would like to receive and pay for such services. Customers with similar cost profiles – for example, CCA customers, rooftop solar owners, EV drivers – could be grouped together. They would be charged more accurately for the products and services they use, so that they pay neither more nor less than their fair share. Customers who do not use services should not pay, and customers who contribute products and services to the grid should receive appropriate credits. 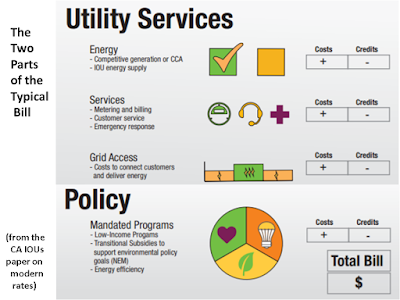 Pricing Utility Services and Policy Mandates – Modern Rate Architecture identifies and prices the costs of utility services, while also distinguishing the costs of policy mandates. The goals of pricing are to signal to customers how much and when to use electricity and to charge customers transparently and accurately for services they receive. The costs of conventional utility services (electricity generation, electricity delivery and customer services) vary by customer and, logically, there should be a different pricing structure for the different types of services. 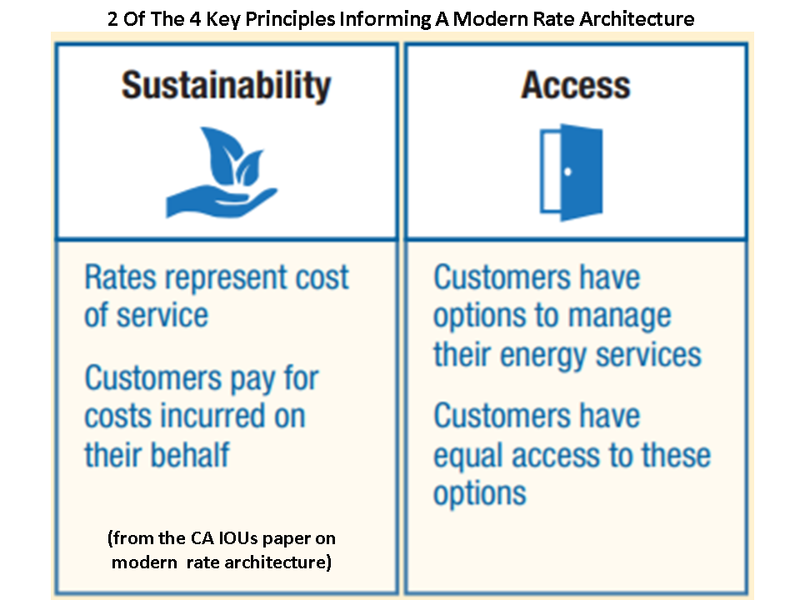 Modern Rate Architecture establishes a cost-based price for utility services, eliminating the unintended consequences of rates that are not tied to costs. Rates that are too low or too high compared to the costs to deliver the service send the wrong signals to customers – for instance, encouraging customers with rooftop solar panels to use more electricity, or pushing customers with hybrid vehicles to choose gasoline over electricity to fuel their cars. The costs of policy mandates should be unbundled from the utility products and services, so customers can differentiate and respond accordingly. Policy-related costs are necessary to drive towards the state’s carbon reduction goals and must be equitably allocated to customers to pay their fair share. Pricing, credits, and policy costs should be clarified so that customers understand. Providing clear and direct costs and credits for policy mandates will allow for efficient achievement of such goals. The California Solar Initiative is an example of a policy program that got it right: Recipients received clearly defined rebates for installing solar, which declined in steps as more capacity was installed across the system. The declining incentives were intended to help the program meet its goal of creating a self-sustaining solar industry by reducing rebates as the industry grew and were phased out when the goal was met (see CSI General Market Program at CPUC.ca.gov). Transparent Credits and Compensation to Customers – Modern Rate Architecture compensates for benefits provided and can incentivize behaviors that support goals. 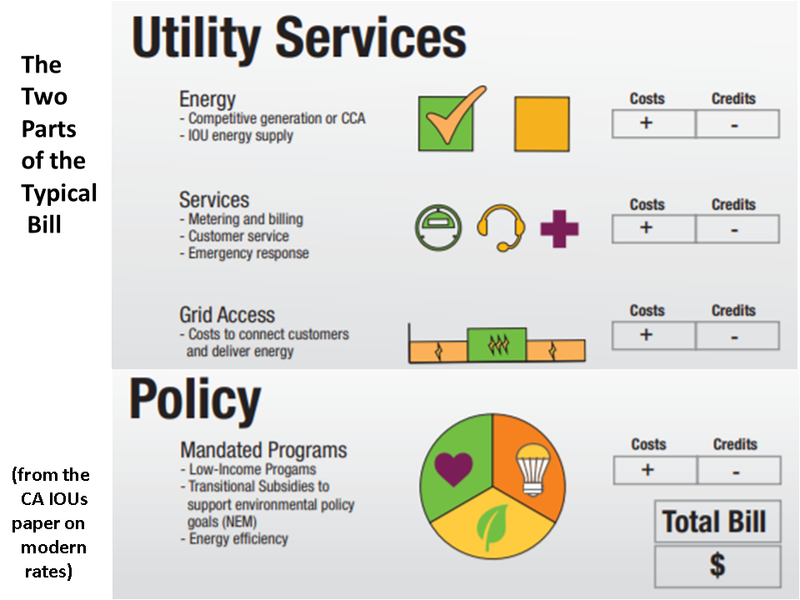 Pricing for services is distinguished from credits for benefits either from customer contributions (for example, energy efficiency, demand response or rooftop solar) or state policies (for example, net energy metering). Customers see appropriate price signals for the costs of services they receive and receive transparent benefits for actions that help achieve policy goals or reduce utility costs. This also provides alternative service providers with clear price signals for the costs of utility service. Currently, customers might not realize they are getting a credit or appreciate the size of the credit relative to their bill because credits can be embedded in the total or bundled pricing. This lack of transparency creates two problems. First, it can incentivize the wrong behavior. Customers lack visibility into their true costs and thus do not modify behaviors in line with the originally intended signals. For example, artificially high bundled prices may cause some customers to not charge hybrid EVs. Conversely, customers may conserve energy at times when there is an abundance of clean and low-priced renewable energy. Second, customers may not understand why their bills are increasing when the credit declines or expires. The latter is especially true for credits designed to incentivize investment in new technologies. In such cases, the incentive should decline and eventually expire as adoption increases and cost structures improve, following the successful model of the California Solar Initiative. While market transformation policy objectives are critical, excessive subsidization can lead to uneconomic behavior and continued burden on non-participants. What Does Modern Rate Architecture Achieve? With Modern Rate Architecture, bills should accurately and clearly represent each customers’ costs, credits and contributions to state policy mandates (Figure 3). Establishing rate structures using the four principles we describe allows us to correct the underlying causes of existing inequities. Modern Rate Architecture will be fl exible enough to accommodate innovation and can more directly incentivize customers to adopt clean-energy technologies and behaviors. Importantly, Modern Rate Architecture will allow stakeholders to manage equity and aff ordability pressures. Th e CPUC and other stakeholders acknowledge many of the issues addressed by Modern Rate Architecture and are looking for solutions. Th e CPUC has made progress over the last fi ve years to address systemic design fl aws in residential rates and continues to explore and resolve questions of how best to allocate credits and benefi ts in other proceedings. Modern Rate Architecture fosters continued progress toward the state’s vision of access to safe, reliable and aff ordable energy. 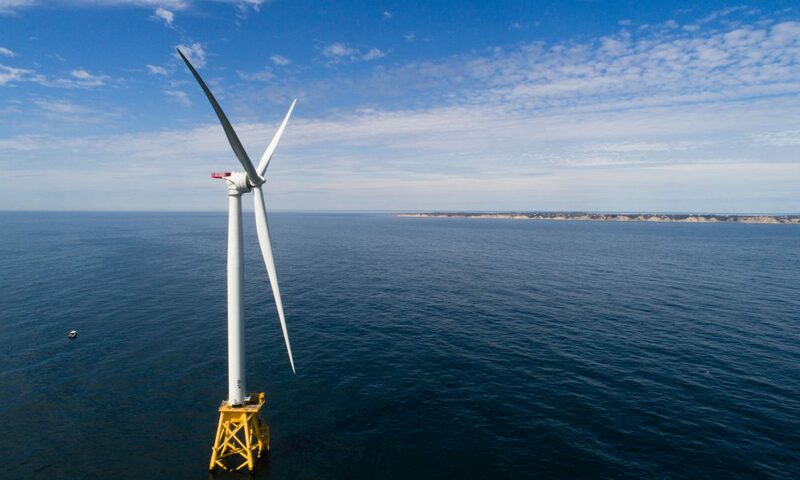 It supports the state’s continued position as a leader in climate change resilience, greenhouse gas reduction, technology adoption and forward-looking legislative policy. Moreover, Modern Rate Architecture can make clear that doing the right thing – taking actions that have societal benefits – is rewarded.